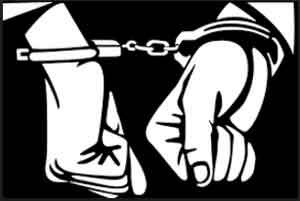 Mumbai: Five persons, including two women, were arrested for allegedly posing as police personnel and trying to extort money from a doctor in Maharashtra’s Thane district, police said today. On Thursday, the five accused had gone to the Mumbra-based clinic of Nadeem Baig and demanded Rs 2 lakh after threatening to expose him over an MTP (medical termination of pregnancy) kit found there, police said. While the doctor told them the kit did not belong to him, the five accused started videographing the clinic stating that they would complain about him to medical authorities and the police, the official said. “The accused finally settled at a sum of Rs 1.5 lakh which the complainant was to pay at a restaurant in Koparkhairane in Navi Mumbai,” the official said. However, Baig had alerted several of his doctor colleagues who were already seated at the restaurant when the accused came to collect the money yesterday, he said. “The five were overpowered by the doctors at the restaurant and handed over to Shil Daighar police,” an official said. He identified the five accused as Sandeep Kamble (32), Ashok Shirvade (30), Sailesh Yadav (31), Anita Thapa (40) and Savita Jadhav (30). Deputy Commissioner of Police, Zone I, D S Swami told PTI that the five had been charged for extortion under relevant sections of the IPC and further probe into the matter was currently on.